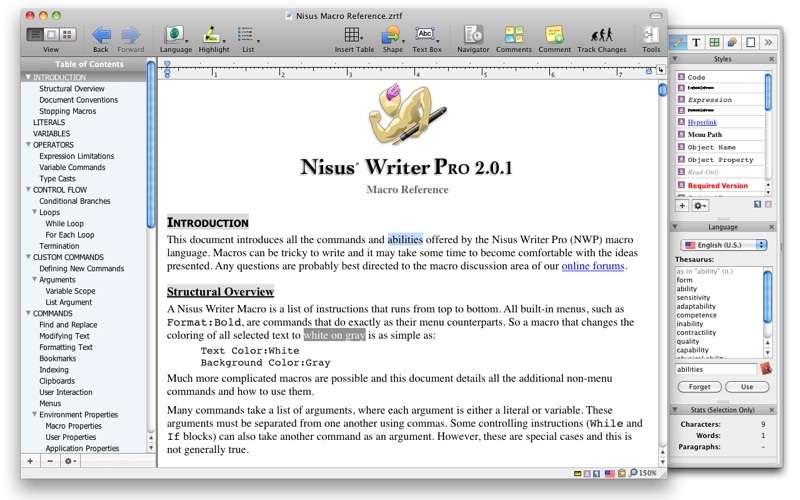 Nisus Writer Pro is the powerful word processor for macOS. An intuitive interface, powerful writing tools, and unmatched compatibility make Nisus Writer Pro the choice of serious writers everywhere. Nisus Writer Pro starts with an intuitive, customizable interface that allows you to write how you want to write. 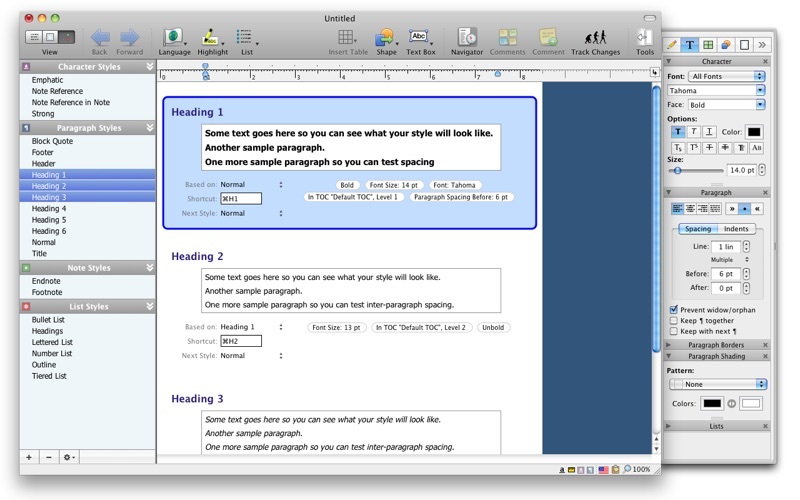 Create great looking documents quickly using our exclusive style sheet view. 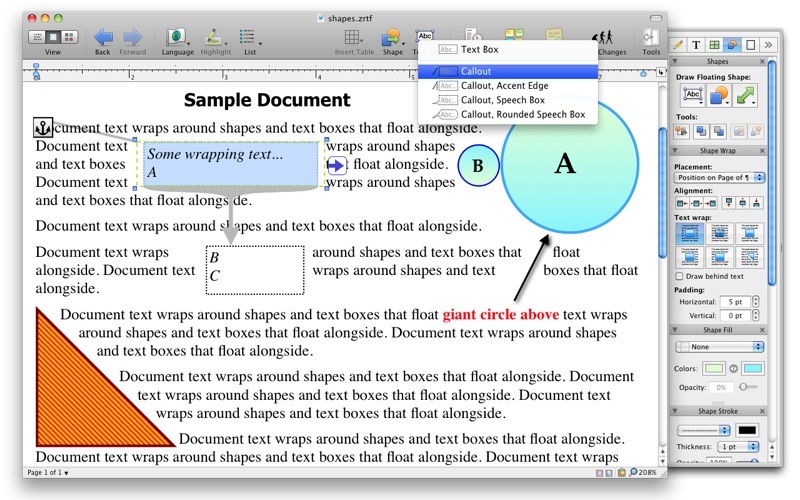 Polish your documents with our sophisticated, yet easy to use tools including our powerful find (including regular expressions), or add shapes and callouts using the drawing tools. 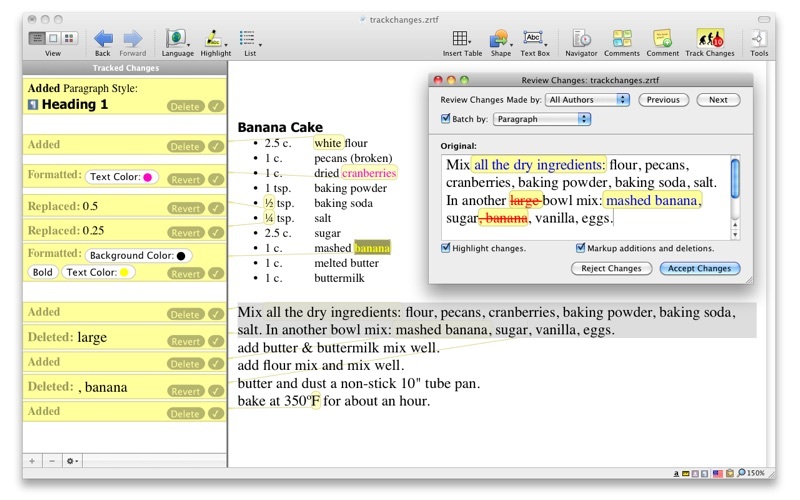 Collaborate with others using track changes and comments that are compatible with Microsoft Word. 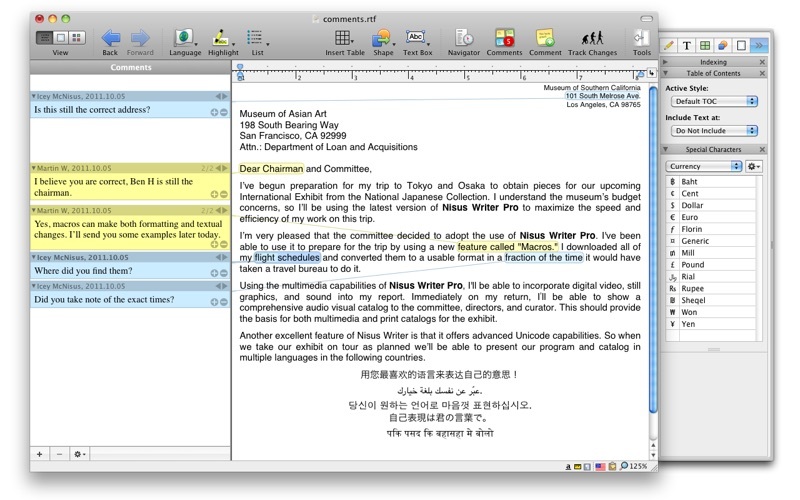 You can write in just about any language supported in macOS (including right to left languages) thanks to the multilingual support built into Nisus Writer Pro. No matter what you write, from a simple letter to a sophisticated thesis, Nisus Writer Pro will allow you to create stunning documents with ease. Other Apps by Nisus Software, Inc.